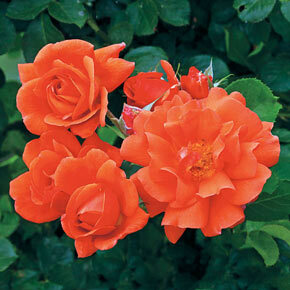 Create a spectacular color show in your garden with this vigorous climber. An improved version of Westerland, it has more flowers per cluster, more petals and improved flower production. 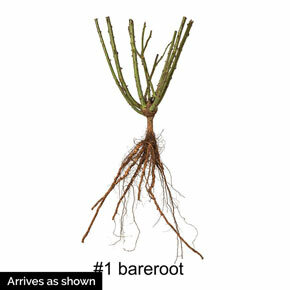 With its disease resistance and hardiness, it's easy to enjoy its old–fashioned, salmon–orange, fragrant flowers and attractive, glossy green foliage. Plant in full sun to partial shade. 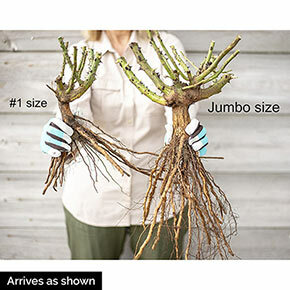 Grows 10–14' tall. Rosa cv. 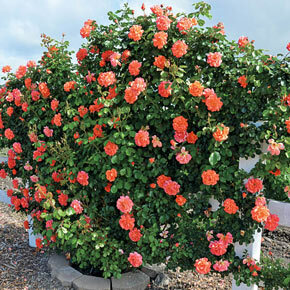 'CHEWesic' PPAF Climbing roses are treasured for their ability to elegantly cover horizontal and vertical surfaces in the garden. 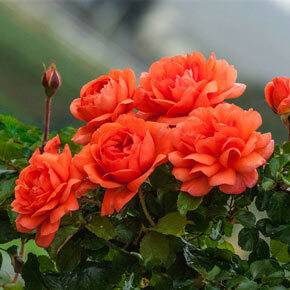 Hardy and floriferous, climbing roses bloom throughout the summer months.